Course Length: 2 days: 9am-5pm. Training Location: 517 N Massachusetts Avenue, Lakeland, FL 33801. What's included: 18 hours of hands on training, a comprehensive training manual & certification. You will be trained on a variety of different vehicles at our shop location. 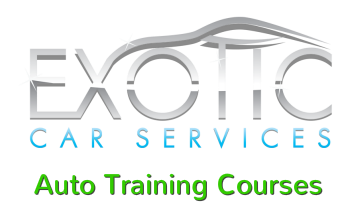 With this comes learning hands on about how to run a successful detailing shop as well as how to deal with customers, pricing, and time frames for different vehicles.